Oprah Winfrey Is Waiting on a Sign From God to Convince Her to Run for President. There have been calls for the US chat show star to consider a run for the US presidency since her inspiring speech at the Golden Globes earlier this year. 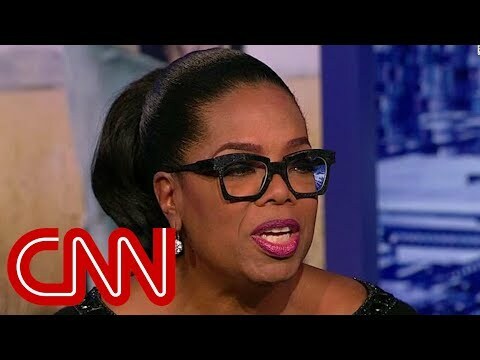 Winfrey, 64, has indicated that she is not interested in moving into the political arena, but has now suggested to America’s People magazine that a sign from God could make her reconsider. She said: “I pay attention, and when you have that many people saying something, I thought well gee, I never in my life, ever, ever, imagined that I would be in politics. I’ve always said no no no no no. She continued: “Because I’ve had enough people – billionaires – calling me up and saying, ‘I can get you a billion dollars. I can run your campaign’ and I actually went into prayer about it. “‘God, if you think I’m supposed to run, you gotta tell me, and it has to be so clear that not even I can miss it’.